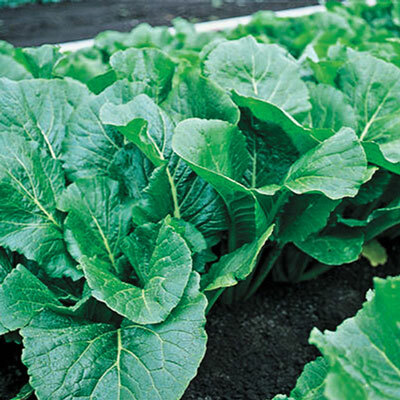 Alamo Hybrid Turnip Greens | Henry Field's Seed & Nursery Co. Excellent flavor ready in 33 days! Hybrid vigor produces yield increases of 50% over older varieties. Rapid re-growth for multiple harvests. Baby leaf ready in 33 days! Tolerant of aphids and Mosaic Virus. A superior choice for greens with excellent flavor (not grown for roots). Moderate bolt resistance, so best sown in early spring or later in fall. 33 DAYS. Foliage: Broad smooth leaves with excellent flavor. Days To Maturity: 33 days. Fruit: This variety does not produce edible roots. Yield: Yields are up to 50% greater than standard turnip greens.